Follow in the footsteps of your Munster heroes by taking a look behind the scenes at the historic Thomond Park Stadium. From a seat in the home dressing room to a walk down the tunnel, the tour gives you a unique opportunity to experience how the Munster players feel on big match days. 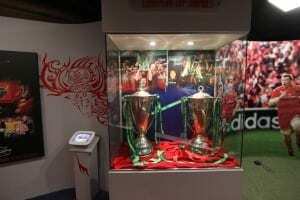 Other reasons to visit Thomond Park Stadium & Munster Experience Museum?